Many of the songs on the album tell the story of a well-known historical event from a first-person perspective, told by a character who might have been right there in the middle of the action. We had already written “Agincourt,” and “Band of Brothers,” which as the titles might suggest, are about The Battle of Agincourt in 1415. And we’d written “Son of The Sea,” which contains the line “I have made human history….” So based on all of that, we decided to call the album “Human History. 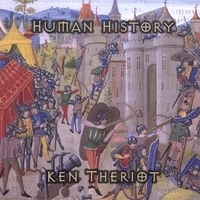 Where Can I Get My Copy Of Human History? Great question:). You can get it on iTunes or CD Baby (who will sell you physical CDs if you want them).